Harry Thumann was a German electronic music composer and sound engineer. He was quick to adapt to new technologies and started working with synthesizers early on in the Seventies. His single 'Underwater', released originally in 1979, was embraced in several European countries. Released in the Netherlands in the summer of 1980, it shot to number 12 in the Dutch Top 40. 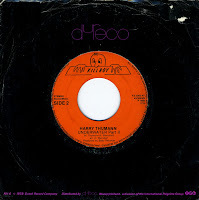 Harry Thumann died in 2001.